*Revised 12/6/18 to update links to EPA. 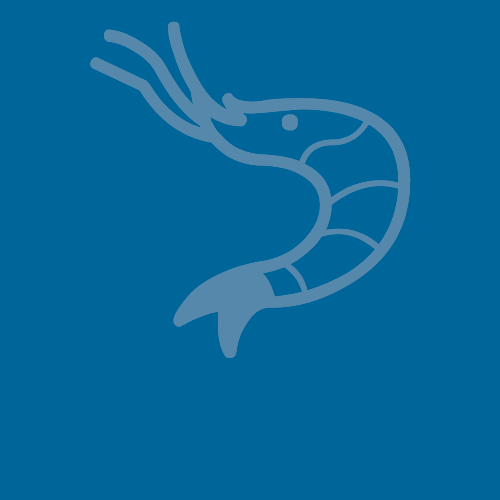 The Southern Shrimp Alliance has been deeply engaged in protecting shrimp vessel owners throughout the Gulf and South Atlantic region from the onerous and expensive requirements of an EPA permit under the National Pollution Discharge Elimination System (NPDES) literally ever since a 2005 federal court decision imposed those requirements on commercial fishing vessels for the first time under the Clean Water Act. In collaboration with commercial fishing and charterboat groups across the nation, SSA has played a leading role in securing a series of temporary legislative exemptions that have prevented the EPA from implementing that court decision on U.S. commercial fishing vessels. Last night, the House of Representatives passed legislation that will make permanent that exemption for all U.S. commercial fishing vessels including shrimpers. The legislation, the U.S. Coast Guard reauthorization bill, which includes the Vessel Incidental Discharge Act (VIDA), was passed by the Senate last week by a strong margin of 94-6 after a complex multi-Committee negotiation on a range of maritime and environmental issues. The legislation will now be sent to the President for enactment into law. “This is a big deal. It’s a major win for the shrimp fishery and we’re proud to have done our part to protect all U.S. commercial fisheries. But the truth is, we have so many to thank in Congress for their tireless efforts on our behalf over so many years including virtually all of the Senators and Representatives with a shrimp industry constituency. There are far too many to list, but the ones that finally got his across the goal line were the leadership, Members and especially the hard-working staff of the Senate Committee on Commerce, Science and Transportation and the House Committee on Transportation and Infrastructure.” added Williams. Absent enactment of this legislation, shrimp fishing vessels and all other US commercial fishing vessels would have been subject to the onerous requirements of either the EPA’s Vessel General Permit (VGP) for vessels greater than 79 feet in length, or the similar “small Vessel General Permit” (sVGP) for vessels less than 79 feet in length. EPA estimated that between 118,000 and 138,000 vessels could be subject to the sVGP’s requirements, of which nearly 60,000 are commercial fishing vessels less than 79 feet. The total estimate for all affected commercial fishing vessels of any size exceeds 81,000. The present situation grew out of a 2008 9th Circuit Court of Appeals ruling that affirmed a 2005 District Court decision that the EPA had exceeded its regulatory authority 32 years earlier when it determined the requirements of its National Pollution Discharge Elimination System (NPDES) under the Clean Water Act should not apply to vessels. Since the 2005 Court ruling, however, both the Coast Guard and the EPA were required to administer separate and inconsistent sets of regulations which include a requirement for the EPA to issue permits for tens of thousands of commercial vessels –something that far exceeds the agency’s capacity and budget. The Court’s decision to apply the NPDES program to vessels also opened the door for each of the States to independently establish a patchwork of inconsistent vessel discharge standards and requirements for vessels transiting their waters. At least twenty-five States have imposed such regulations. Implementation of this conflicting and confusing regime has become an administrative nightmare for the federal agencies involved, and presents owners of the more than 100,000 commercial vessels that operate in US waters with and impossible compliance and liability regime. SSA is very grateful to the owners of those shrimp vessels for their willingness to work with Federal officials to document this reality. This has made a substantial contribution to our success in the legislative process. 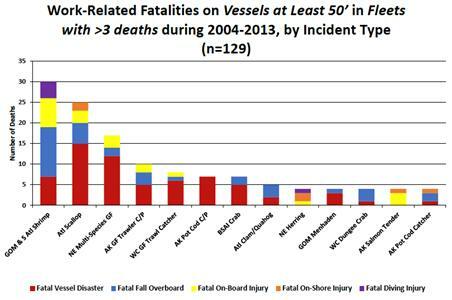 Finally, it should be noted that in 2008, Congress also passed the Clean Boating Act (PL 110-288) which provided a permanent exemption for all 13 million US recreational vessels from the requirement to obtain an NPDES permit for their incidental discharges, and directed the EPA and the Coast Guard to develop uniform national regulations for such discharges. This is precisely the same treatment the U.S. commercial fishing industry had sought ever since.